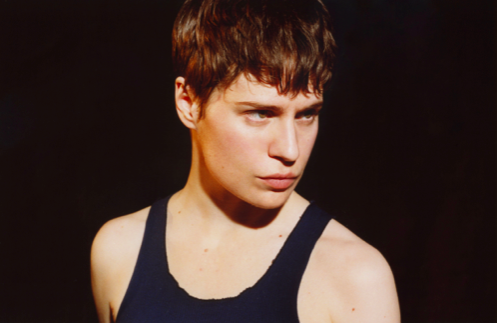 On Friday night (23 November) Christine and the Queens took Glasgow on a journey of dance, music and self-discovery. Héloïse Letissier, you may know her as Christine, is a French singer, producer, choreographer, musician and advocate for being your true self. If there was a French version of the phrase ‘you do you’ she is the embodiment. Friday (23 November) saw Christine, along with her band and a crew of dancers, take to Glasgow’s Royal Concert Hall telling the crowd that for the night she would make the classic venue “deliciously twisted”. The gig marked the first of two Scottish dates on the tour following her second album, Chris. For fans of the French artist her journey to becoming Chris will be familiar, but for those who are yet to become as obsessed as we are after Friday night, it is a journey of self-discovery. From beginning to end the show mimicked her journey of finding her true face: terminology she uses to define the identity crisis she experienced for years. Between songs she let the crowd in on the secret of discovery – deciding not to care anymore. That doesn’t mean not caring about anything, she stressed, it means forgetting about other people’s expectations, opinions and focusing on what you want. Chris is a step towards her true self, or a sweatier, musclier version in her own words. Chris defies the expectations of what a women should be, gender norms and takes a stand all while being funny and relatable. As the show progressed she transformed from Christine to Chris, becoming cooler and wiser as she went and using the dancers, some you might recognise from the video for single Girlfriend, as accessories to tell her story. It took the crowd everywhere from the streets of Lyon in France, to an underground club, to the theatre. Before the gig ended came the encore. Unlike some artists, Chris isn’t afraid to her hands-on with her fans. Appearing on a platform positioned between seating and standing she finished the show with two more songs, all while continuing her banter with the crowd. The finale saw her lifted through the crowd and back to the stage where she received a deserved standing ovation before exiting and leaving fans wanting more – we’ll be frantically trying to get tickets next time Chris comes to town. Are you following Source on Instagram and Twitter? Make sure you do for all the latest news and reviews.